Neymar’s injury affected PSG’s offensive potential for the Champions League game against Manchester United, making goalkeeper Gianluigi Buffon admit that the forward’s absence will be “dangerous”. The Brazilian is expected to meet the last 16 tie against the Red Devils later this month, after the foot injury he sustained back in January. And considering that we’re talking about a player who scored 23 times in all competitions so far this season, Buffon’s concern is really justified. “Every year, I always thought it could be the right year. 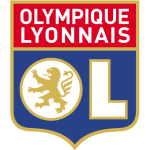 But it is now 24 years since I am trying to win the Champions League,” said the 41-year-old keeper, in an interview given ahead of today’s Ligue 1 encounter with Lyon. 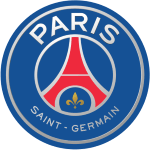 Ever since they loaned US international Timothy Weah to Celtic Glasgow for the rest of the season, Paris Saint-Germain were left without a viable forward option. On the other side, they have just signed Argentine midfielder Leandro Paredes from Zenit Saint Petersburg, who could help them in central midfield, behind the offensive line. Manchester United were on a real winning streak lately, after Ole Gunnar Solskjaer was appointed as interim caretaker and basically transformed the club, as well as a lot of players, who seem to be back to their top level. But, on the other side, PSG can still count on world-class forwards like Kylian Mbappe and Edinson Cavani, two players who are, at least theoretically, better than United’s attack. Neymar was a key player for PSG last year, helping Thomas Tuchel’s side win the Trophee des Champions, as well as Ligue 1 success across the 2017/18 campaign, so his absence is a big problem, no matter the match.